Those might be the words going through your head when you hear news related to "Akira," director Jaume Collet-Serra's adaptation of the classic anime and manga about a massive nuclear detonation in a future Tokyo and its ramifications fifteen years later. Some major changes from the source material have been made so far, such as Neo-Manhattan subbing in for Neo-Tokyo. No matter how you feel about the changes, the movie is certainly heating up. Some serious A-list talent is lining up for "Akira," including "Twilight" actress Kristen Stewart, who has reportedly received an offer for the female lead. With casting firming up, now's as good a time as any to take a look at the folks who are supposedly assembling for this sci-fi romp. Like the rest of his prospective cast mates so far, Garrett Hedlund is not Japanese. Fortunately, he may be a great fit for Kaneda all the same. He's young, vivacious, headstrong, and has definitely proved he can ride a bike in "Tron Legacy," all the trappings of the brave motorcycle gang leader who finds himself in the middle of a government cover up. Let's just hope Hedlund has the stones to wield Kaneda's famous ride. Oldman is a fantastic character actor, and yet, I can't imagine him as the brawny, hard-headed, and seriously sexist Colonel. The Colonel leads the armed forces of Neo-Tokyo and staunchly stands by the government's cause. He may seem bad on the outside, but the Colonel is definitely on our side (sort of). Though Gary does rock a killer stash, I won't believe him as the Colonel until he shaves his head. You know who I would believe, though? Bryan Cranston. Walter White can do no wrong. This one is a perfect fit. 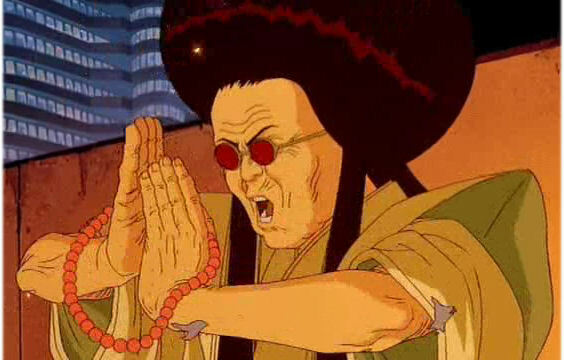 Lady Miyako is a deranged and insanely devout religious figure in the comics who believes the second coming of Akira is at hand. Also, her hair is totally cray cray. This is HBC in a nutshell. I'm not sure about this choice, but I'm willing to go with it. Kei is a complex character, seemingly apathetic, deeply contemplative, and completely immune to Kaneda's constant advances. She is part of an ongoing resistance movement in the city who have been trying to gain information on Akira for some time. If K-Stew rocks a pixie cut and is able to lay down some serious psycho-kinetic pain, then I'm down. When I say every actor ever, I'm not joking. We're talkin' Ezra Miller, Alden Ehrenreich, Andrew Garfield, James McAvoy, and none other than Robert Pattinson. To be honest though, none of these actors seem to fit the bill as the angsty teen and (in this version at least) Kaneda's brother, who turns into the film's telekinetic antagonist. Whoever plays Tetsuo needs amazing acting chops, serious anger management issues and an awesomely prominent forehead. Who do I think of, then? I think of Aaron Paul, more commonly known as Jesse Pinkman on "Breaking Bad." Please, Gods of Hollywood, make the right choice! How do you feel about the prospective "Akira" cast? Let us know in the comments section and on Twitter!